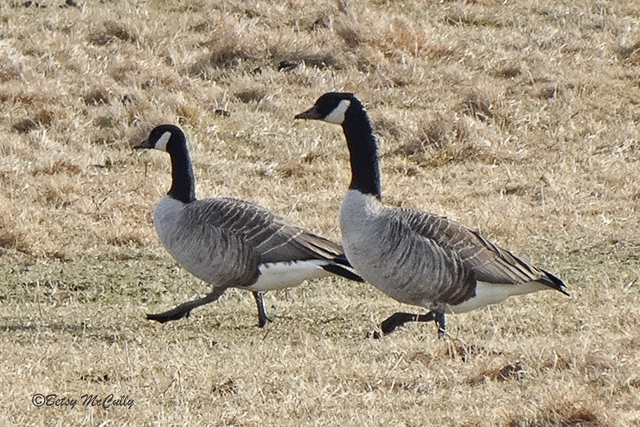 Cackling Goose (Branta hutchinsii) and Canada Goose (Branta canadensis). Marshes. The Cackling Goose is a scarce winter visitor found among Canada Geese. This individual was observed in a ranch grassland on Long Island.